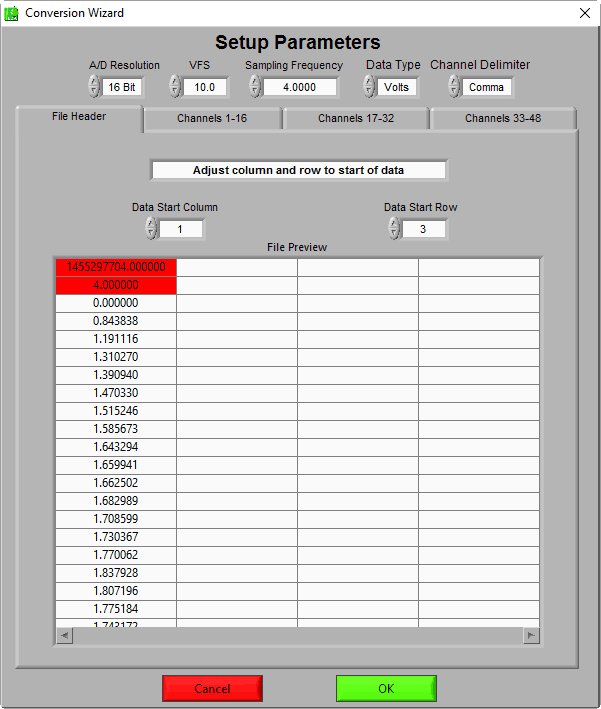 This article contains information on importing data from the Empatica E4 Sensor using the ASCII-MW converter, a tool available in all MindWare analysis applications and BioLab. The info.csv file describes the format for each of the other output files, as does this support article. 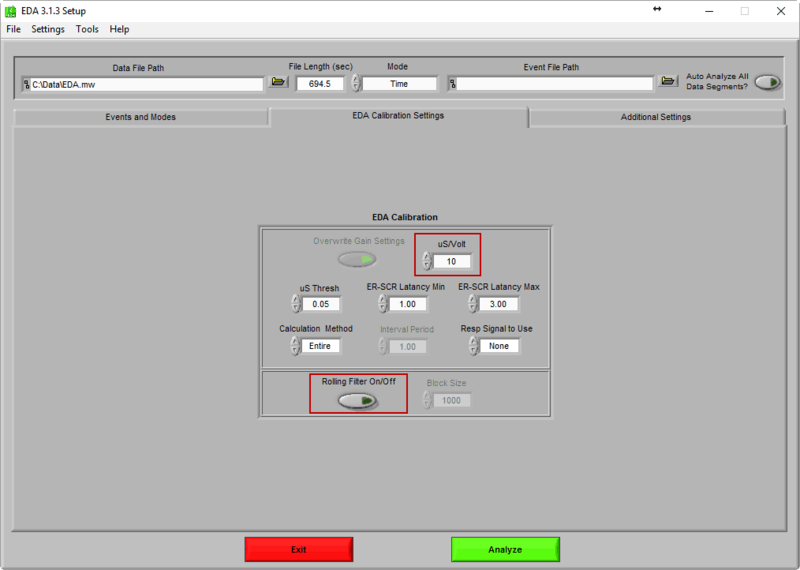 Since the Empatica E4 outputs multiple files containing data in different sampling frequencies, each of these files will need to be imported and viewed/analyzed individually in MindWare applications. Accelerometer data is best analyzed using the EMG and BSA analysis applications. 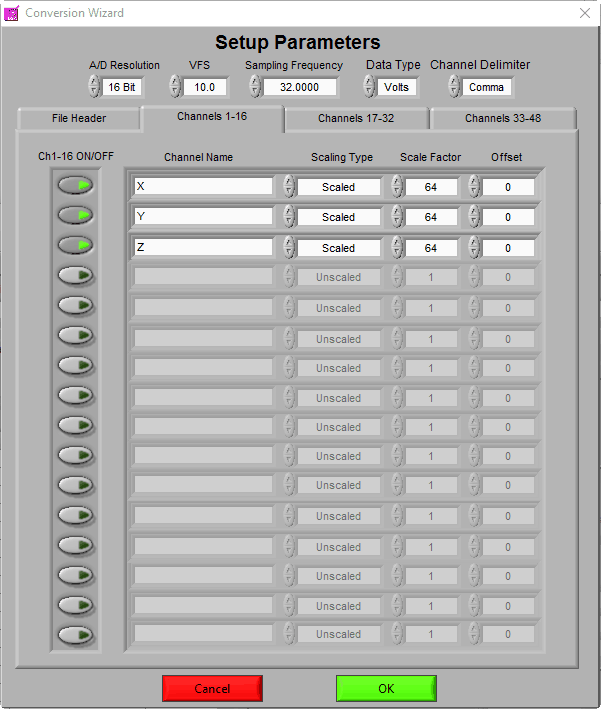 Since the scaling we applied already transformed the data to g, no additional scaling is needed during analysis. BVP data can be analyzed in the BPV, HRV, and BSA applications. Note: The HRV application peak detection is tuned to locate the sharp R peak on the ECG signal, which is quite different than the rounded peak of BVP. 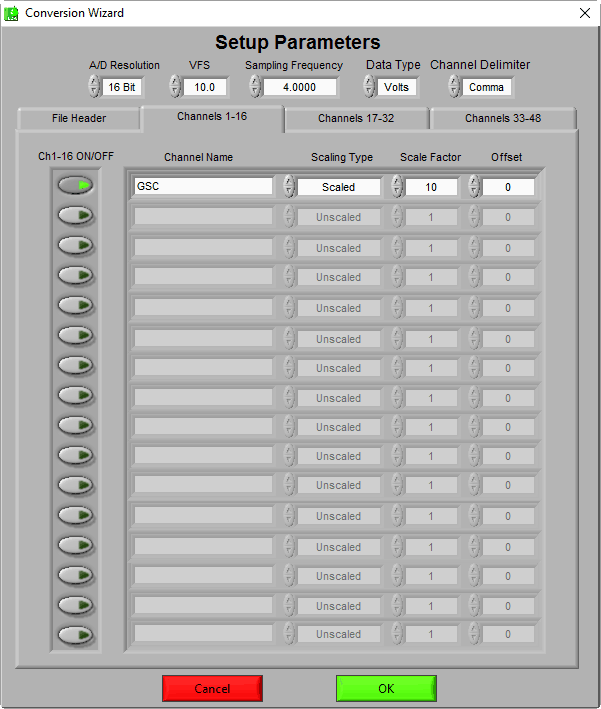 You may have more success with automatic peak detection if you make use of the Manual Override peak detection feature. EDA is best analyzed using the EDA application. 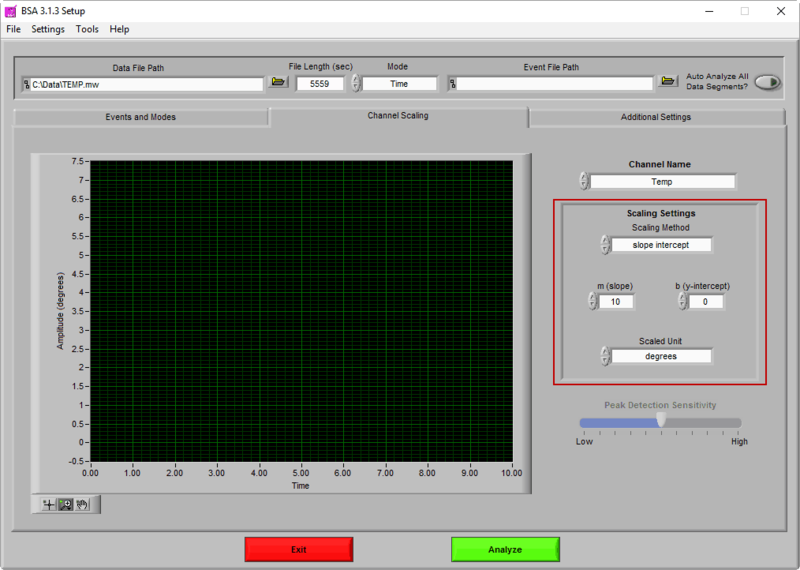 Note that you will need to reapply the scaling in the EDA application using the uS/volt setting on the Setup screen. Also, since this data is sampled at a very low sample rate of 4 Hz, you will want to disable the Rolling Filter, or set it to a Block Size less than or equal to 4. The IBI.csv file is unique in that it does not contain a raw data signal, but rather the IBI series as derived from peaks detected on the BVP signal. It is possible, and even likely that this series will have gaps in the data, thus rendering it unusable for calculating RSA in the HRV analysis application. 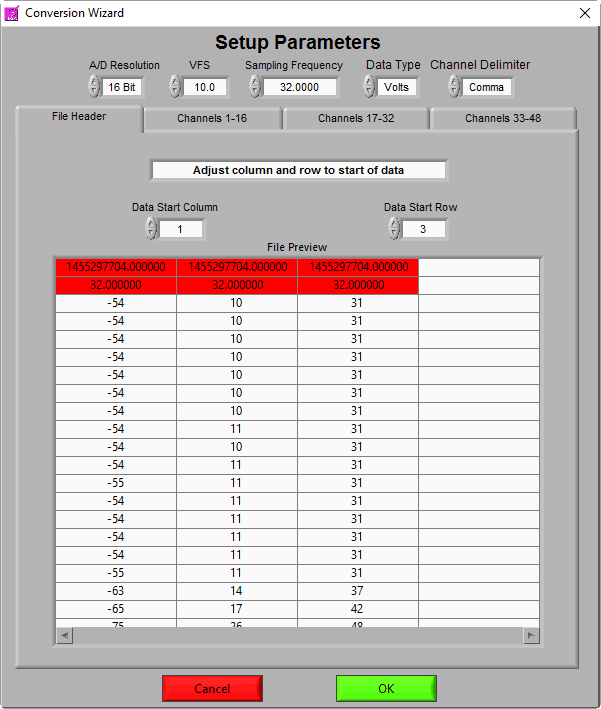 It is possible to import an IBI series into the HRV application, but first the IBI.csv file will need to be manipulated to match the required IBI file format. Even then, the editing capabilities will be unavailable and, if there are gaps in the IBI series, the segment will be unusable. It is recommended to analyze the raw BVP data instead. Temperature data is analyzed using the BSA application. The scaling to degrees Celsius will need to be reapplied in the BSA application to analyze in the proper units.